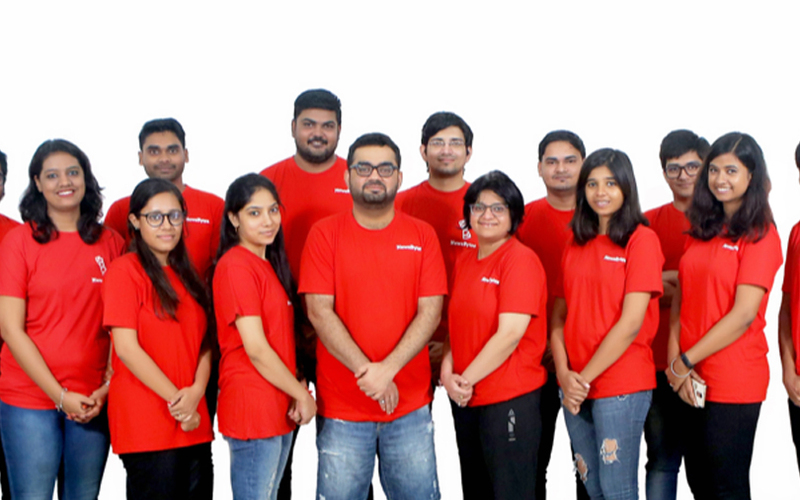 Media startup NewsBytes has raised $1 million (Rs 7.25 crore) as part of a pre-Series A round of funding led by German publishing firm Mueller Medien’s investment arm MM Inno GmbH. NewsBytes co-founder Sumedh Chaudhry told TechCircle that Powerhouse Ventures, which was the first institutional investor in the company, and other existing investors including Mumbai Angels also participated in the latest round. Additionally, as part of the deal, Mueller Medien representative Professor Peter Kabel will join the board of the company. Chaudhry said that the fresh capital will be used to bolster the artificial intelligence (AI) engine that the platform uses for news curation and dissemination. The startup also plans to add more Indic languages and video content to its website, he added. “We will be launching Hindi news content by mid-October followed by Tamil in December. The idea is to expand into all major languages including Kannada, Bengali and Marathi,” Chaudhry said. The Gurugram-based startup, which is run by Elysium Labs Pvt. Ltd, had earlier this year launched a bot called Yantra which uses machine learning to provide contextual news to readers. When fed with inputs about what to look for on the internet, Yantra can come up with results that can be edited and presented in a question-and-answer format on an app and website. The company says it follows the Q&A format to reduce information overload for its users. Chaudhry said Mueller Medien’s investment is largely based on its interest in Yantra and the firm’s other machine learning-related activities. NewsBytes’ in-house AI engine is called Brahmastra, which uses natural language processing to auto-populate answers to pre-defined questions. The company recently launched a natural language generation-based engine which can convert raw numerical data into text-based articles. Chaudhry said NewsBytes will likely start generating sizeable revenues by December and break even on its English news operations by the end of the current fiscal. For the financial year 2015-16, NewsBytes had posted a revenue of merely Rs 1,475. This number rose to Rs 13,313 in 2016-17, the company’s filings with the Registrar of Companies show. "Content is a scale guerrilla game. In this market, only those players who can serve the consumer at minimal cost will survive. Yantra gives us that capability. With this engine, our efficiency has increased 3x and our cost of serving a user is only 52 paise per month,” Chaudhry said. Indian Institute of Management-Ahmedabad and Indian Institute of Technology-Roorkee graduate Sumedh Chaudhry started NewsBytes in 2013 along with Cornell university alumnus Shikha Chaudhry and IIT-Guwahati graduate Romesh Khaddar. Before setting up NewsBytes, Shikha and Sumedh ran an education technology startup called Course Garage and operated it under Elysium Labs Pvt Ltd. Khaddar had also co-founded a startup—MyNewsStudio, a career development application for students. NewsBytes, which now has a team of 24 employees, was incubated by GSF Accelerator in 2015 and had also received an investment of $50,000. Sumedh Chaudhry told TechCircle that the company had raised an undisclosed sum in another round of funding from Mumbai Angels, Indian Dream Capital and Citrus Pay founder Jitendra Gupta. Other web and mobile platforms which aggregrate news articles have also raised funding over the past year. Earlier this month, TechCircle reported that Dailyhunt, run by Ver Se Innovation Pvt. Ltd, had raised over $6 million (Rs 42 crore at current exchange rates) in what is believed to be the first tranche of a larger Series E funding round from New York-based hedge fund Falcon Edge. In May, NewsDog, a Hindi and vernacular app founded by Chinese entrepreneurs, raised $50 million (Rs 340 crore) in a Series C round led by Chinese internet giant Tencent Holdings. Three months before that, Kochi-based Quadzeta Technologies Pvt. Ltd, which operates inFact, raised an undisclosed amount in angel funding from Joel George, a Saudi Arabia-based angel investor. In December last year, Noida-based mobile news curation app Inshorts raised $5 million (Rs 32.2 crore) from Tiger Global in a bridge round of funding.